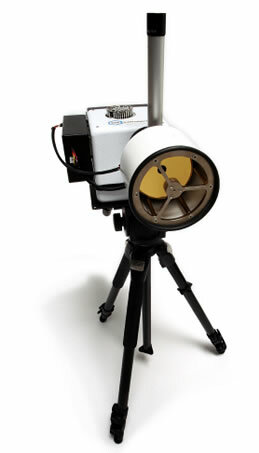 The Micro FT™ has a unique laser sampling channel, which is needed in a reciprocating interferometer. 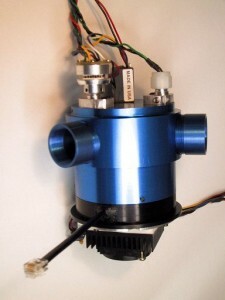 The optical assembly has been miniaturized, as shown at the left, to fit on the top of the optical head. 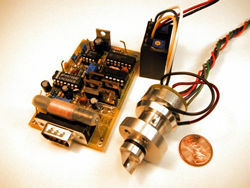 The temperature controller, also shown at the left, is a small board, and is designed to be very efficient. Consequently, it consumes very little power once its steady state set point temperature is reached.